Imangi Studios is an independent game development studio based in Washington, DC. 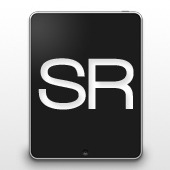 They currently support the iPhone platform and plan to extend their reach in the near future. Imangi’s first two releases are excellent word puzzle games, Word Squares [App Store] and Imangi [App Store]. 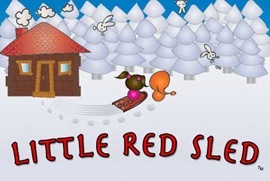 They recently released their first non-word game, Little Red Sled. 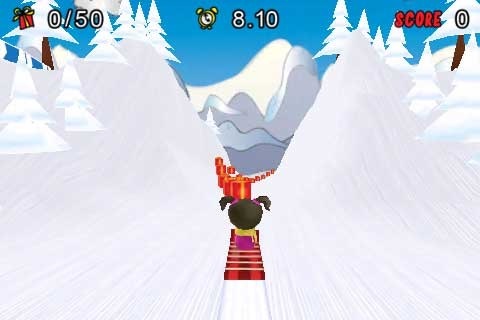 Little Red Sled is a very cool 3D sled racer featuring the characters Max and Maya (your choice which character you play). You control Max/Maya as they launch themselves down a snowy mountain. 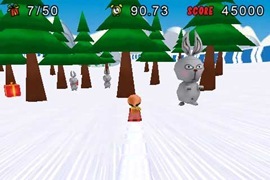 But it’s no ordinary mountain … it’s a Crazy Russian Mystical Mountain filled with floating gift boxes, radical jumps and psycho killer bunnies. Currently there are 13 slopes (levels) to ride with an additional two slopes being released this week. Imangi’s goal is to eventually have 30 slopes total – making it the world’s largest Crazy Russian Mystical Mountain. 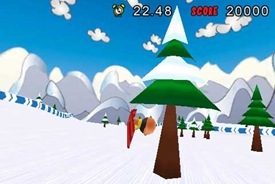 Each level has a specific goal which must be met before going on to the later levels. 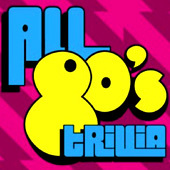 Goals vary from number of gifts collected, minimum score and maximum time. 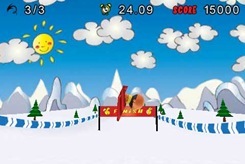 Scoring is done by collecting gifts and doing tricks on your sled. That’s the fun part, watching Max and Maya get totally squirrelly – inverts, alley-oops, backside shuvits and ollies. 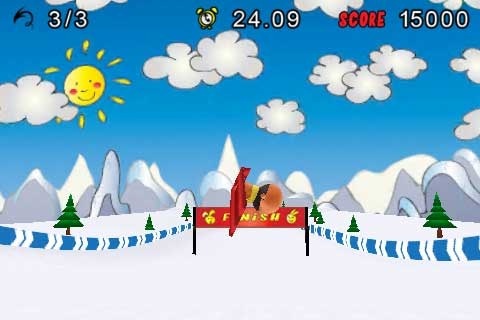 Max and Maya are totally insane and really should be in an X Games app. Besides the awesome game play, the behind the scenes look is really interesting. The piano music you hear during game play … it’s an original composition produced by Imangi’s co-founder, Natalia. She has been playing the piano since childhood, but this is the first time Natalia has composed music – too cool! Don’t believe us – click here for a video of Natalia jammin’ the piano. Also, all the game sound effects are original and were recorded at Imangi’s office. Imangi invited a bunch of friends to their office, opened the mic and let tape roll for a few hours. It was like an American Idol audition, plenty of hysterics. 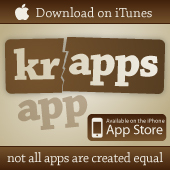 Now getting back to those insane characters Max and Maya … most people don’t know this and even Imangi doesn’t know it … but KRAPPS discovered a game within the game. Follow along … as mentioned, Max and Maya do some gnarly sled tricks (shuvits, inverts, etc.). 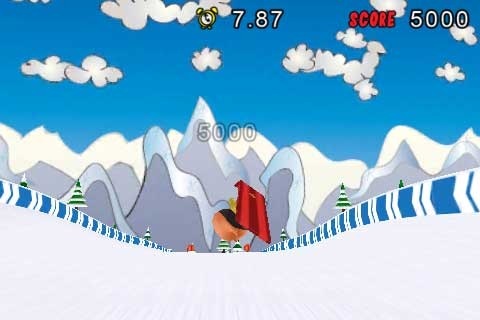 These tricks are performed when their sled goes off a jump and the user shakes their iPhone. Now the game is trying to take a picture (screen capture) of the trick at its peak moment (like completely upside down). Sounds easy? NOT! We attempted 3,000+ screenshots and below are the best results … we are especially fond of the one where Max is about to lose his head crashing into a tree – OUCH! FREE Little Red Sled To KRAPPS Viewers! 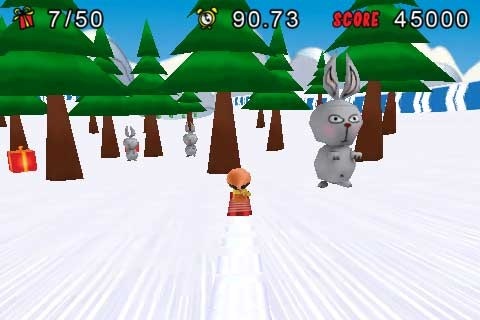 Imangi Studios was kind enough to provide codes which will allow KRAPPS viewers to download Little Red Sled for FREE. Through Thu, Mar 5 at 11:00am PST, tweet the message below on Twitter and be entered into the Little Red Sled drawing. Good luck! 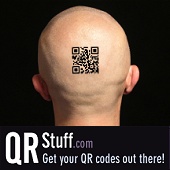 This looks like a fun app. Looks very polished. I re-entered the tweet today 🙂 hope I get it! !